Hillary Nguyen-Don The Huffington Post B.C. UPDATE - Nov. 27, 2014: A rainfall warning continues Thursday, with up to 30 millimetres more of rain forecast near the mountains over Metro Vancouver, and up to 40 millimetres for the Fraser Valley, said Environment Canada. 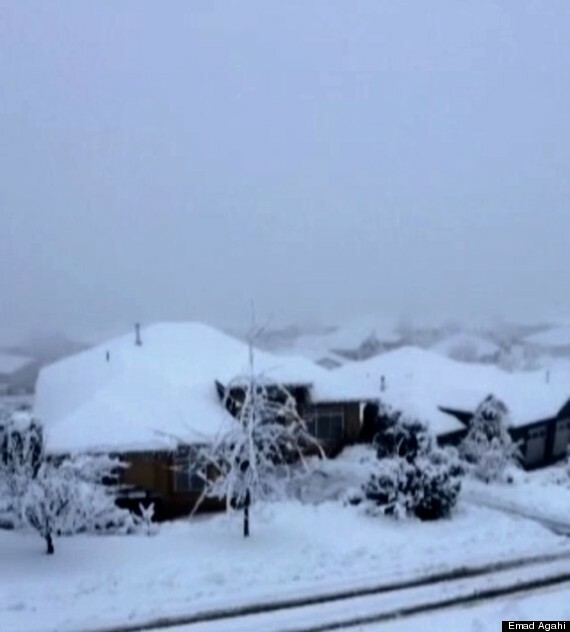 Heavy rain and snow in B.C. has cut power to thousands of people of in the Okanagan and led to a spike in collisions with pedestrians in the Lower Mainland. Vancouver police responded to 40 collisions in just over 24 hours — nine of them involving pedestrians and two with cyclists, reported The Vancouver Sun. With bad weather and poor driving conditions, Sgt. Randy Fincham is urging pedestrians to wear bright clothing, and make eye contact with drivers. The darkness at this time of year isn't helping either. From November to January, there's a 76 per cent jump in collisions involving pedestrians, Jill Blacklock with ICBC's road safety team told CBC News. Environment Canada has posted a rainfall warning for Metro Vancouver Wednesday. With the ground already near saturation — meaning it can't absorb much more rain — it warned that "heavy downpours can cause flash floods and water pooling on roads." Further amounts of 30 millimetres of rain are forecast through the night in Metro Vancouver, with up to 50 millimetres for the Fraser Valley. Meanwhile, the Okanagan region's first major snowfall of the season left 4,000 people without power. 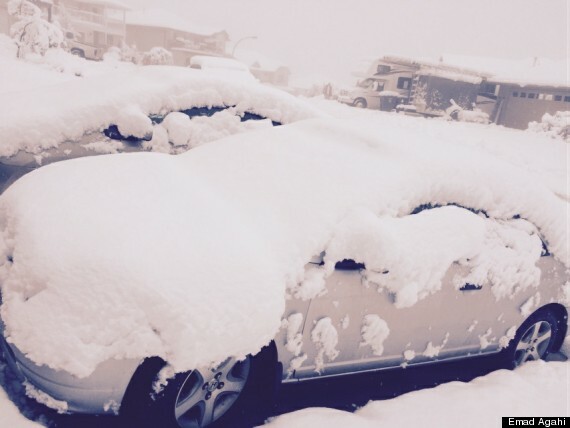 The storm dumped 10 centimetres of snow on Kelowna, causing several minor car accidents, and closing some highways. Snowfall warnings are in effect for much of central B.C.